Last week the City of London unveiled its plans for transport in the Square Mile for the next 25 years. Though currently in draft form, the transport strategy marks a huge step forward in thinking around transport and inclusivity. The draft document, which will be finalised next spring, sets out a number of promising proposals to support active travel in central London. Amongst other things, it outlines plans to reduce motor traffic by 50% before 2044 and to implement a city-wide 15mph speed limit. It also lays the groundwork for the next generation in road user charging. 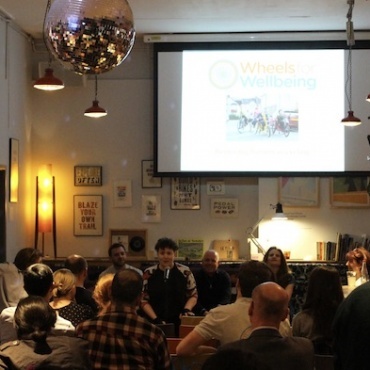 Wheels for Wellbeing and the Beyond the Bicycle Coalition greatly welcome this draft transport strategy and see it as an exemplar in inclusive cycling policy. We would encourage other London Boroughs to take City of London’s lead when updating their own cycling and transport strategies and to ensure that they are developing policies that are equally inclusive. “As a parent who uses a cargobike to transport my children around London, I’m very excited by these plans. 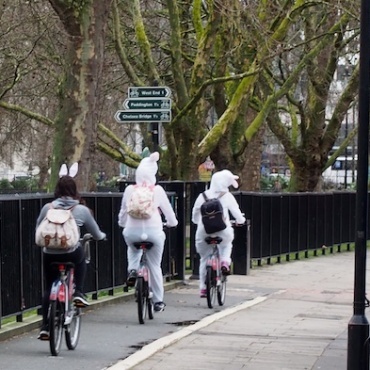 It can be really frustrating when cycle infrastructure and cycle parking doesn’t accommodate the needs of non-standard cycles, and so it’s great to see a transport strategy that goes beyond the two-wheeled bicycle”. 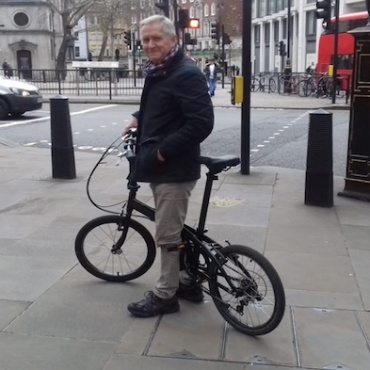 “As a charity that campaigns for the rights and needs of Disabled cyclists, we are delighted to see some of the commitments made by the City of London. What this draft strategy shows is that attitudes towards cycling are changing and that there is now a greater understanding of the needs of other types of cyclist, including Disabled, family and freight cyclists, and not just the middle-aged man in lycra”. The Beyond the Bicycle Coalition is an alliance that was set up in 2017. It represents users of non-standard cycles (e.g. handcycles, e-cycles, cargobikes) with the aim of facilitating discussion and developing ideas that will lead to improved infrastructure, facilities and recognition, along with reduced user costs, for users of non-standard cycles in London – including, but not limited to, Disabled, cargo, freight and family cyclists.